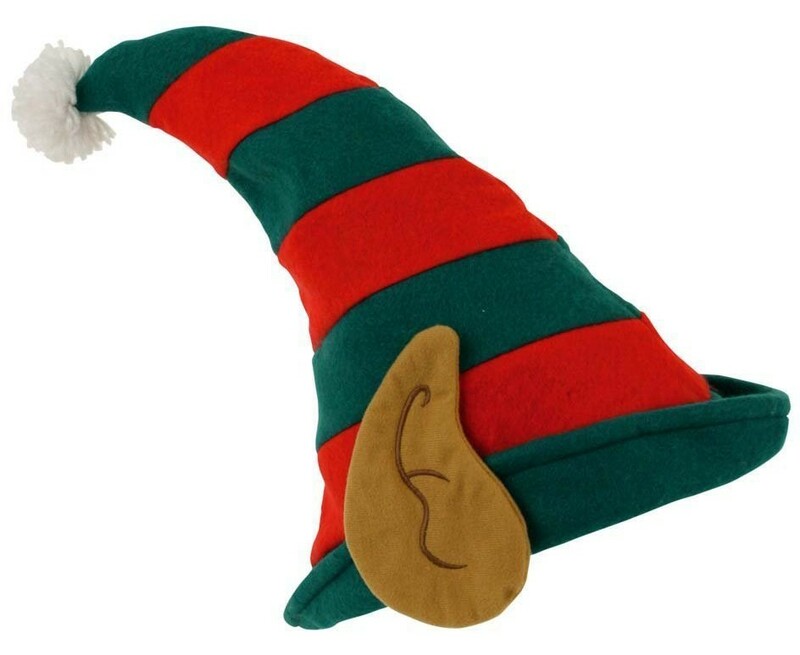 This hat is great for Christmas fancy dress (perhaps paired with an elf Chritmas jumper) or just wear it for fun on a Christmas night out! sure to raise a smile or two wherever you are. 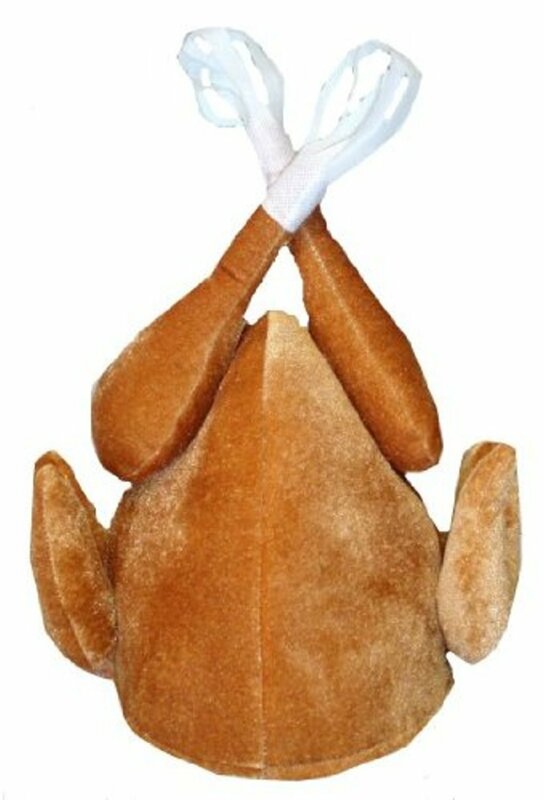 If you want to get a laugh while you’re serving Christmas dinner, this is the hat for you! Also great for keeping your head cosy on a Christmas pup crawl. This Christmas hat wins the prize for being the tallest and most sparkly in the list. 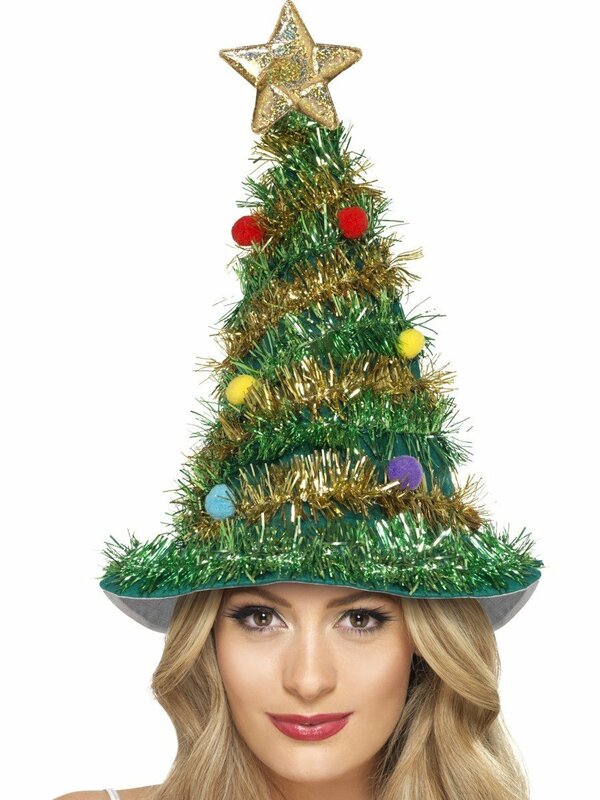 Add a bit of bling to any outfit this Christmas with this Xmas Tree hat that includes baubles, tinsel and a star. 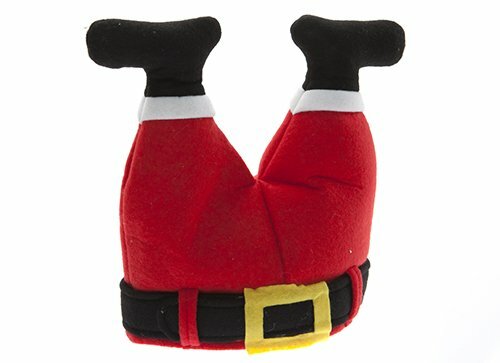 This funny Christmas hat is in the shape of Santa’s legs upside down as if he’s stuck in a chimney. Great for office Christmas parties or making the kids laugh at home. 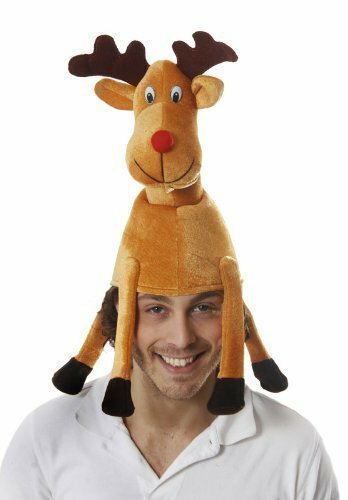 This funny reindeer hat is great for Xmas parties, fancy dress or Christmas day. Also makes a good stocking filler. 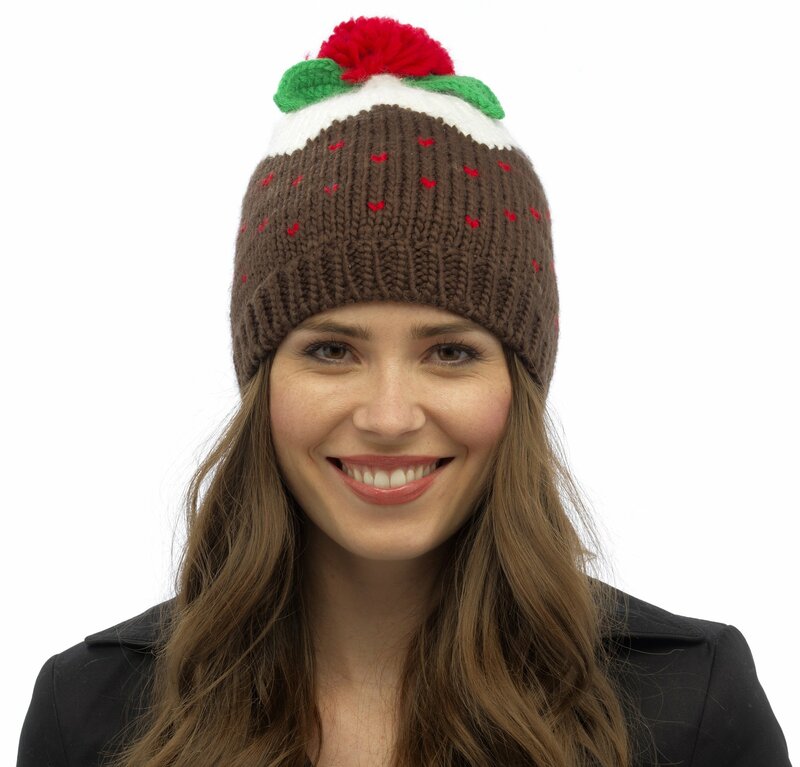 This cute Christmas pudding hat is sensible enough to be worn at any time in the run-up to Christmas. It has a cotton jersey lining for extra warmth and comfort and a festive red pom-pom. 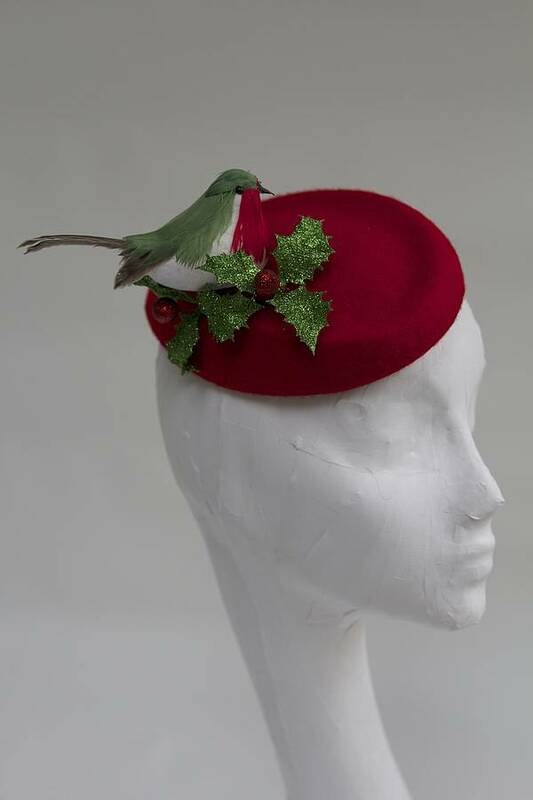 This elegant and unusual Christmas hat looks great when worn with a 50s style dress and is perfect for Christmas parties, weddings, or other festive occasions. It’s handmade from wool felt and can be ordered from Not On The High Street. 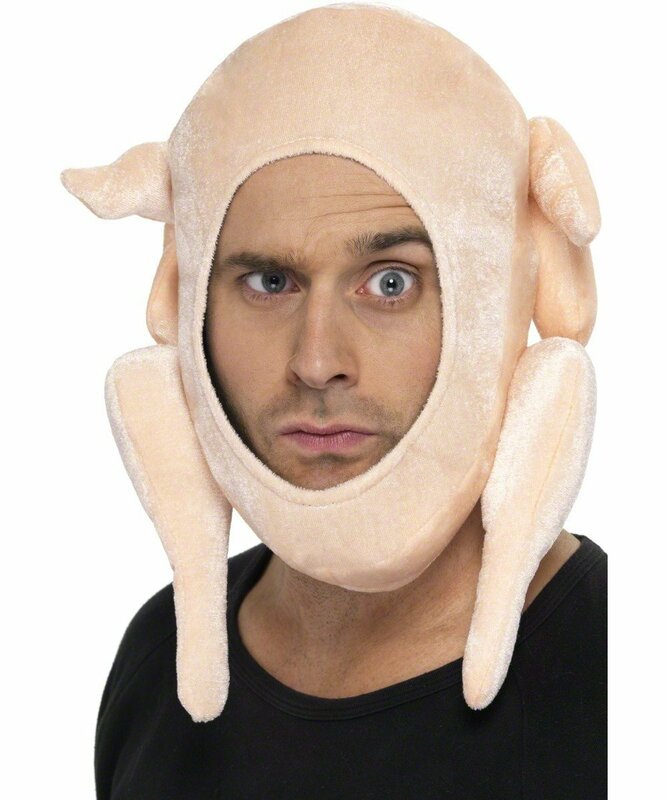 Here’s another Christmas turkey hat that is perfect for an easy Christmas costume or for greeting guests at a Christmas party. Also great for Thanksgiving if you celebrate it! A great alternative to your standard Santa hat. This top hat is shaped like a chimney and has Santa’s legs sticking out of it. 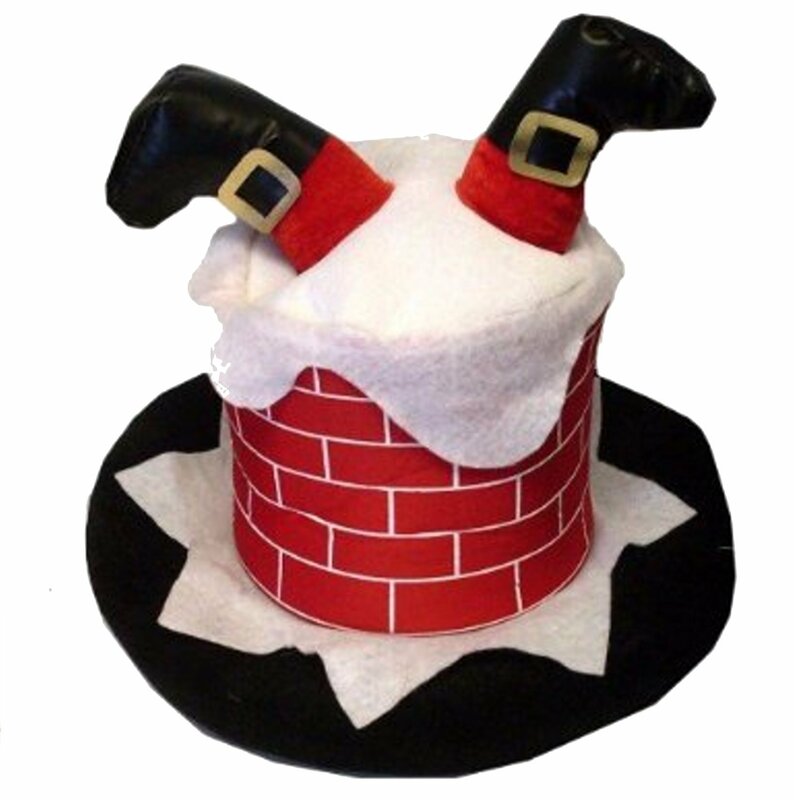 Great hat for a Christmas-themed Mad Hatter costume, for wearing to Christmas parties, or to make your friends and family giggle on Christmas day.